Hobbyists often take up hydroponics because they want to grow their own food but don’t have access to outdoor space. Although the sun is the ideal lighting source for growing plants, artificial lighting in indoor systems can provide a good substitute within the appropriate color spectrum. Choosing the best lights for your hydro system can be daunting for a beginner. There are tons of options out there and depending on your system size and type of plants you are growing; some types may be better or more efficient than others. Outside, a vegetable garden requires between four and six hours of direct sun per day, plus at least 10 hours of “bright light” or indirect sunlight. 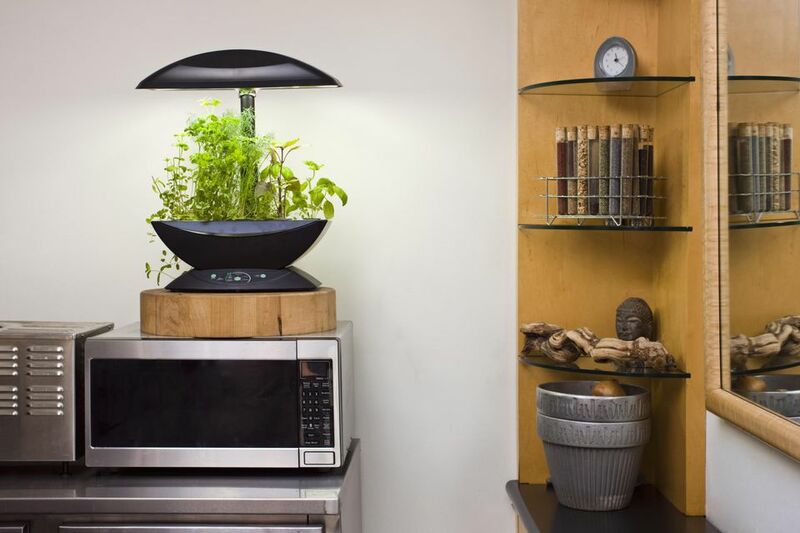 With artificial lighting in your hydroponic garden, the main goal is to imitate this. You should plan your system on having at least 14 to 16 hours of bright artificial light, followed by 10 to 12 hours of darkness every day. The darkness is just as important as the light—just like animals, plants need time to rest and metabolize. If your plants are perennials, you will have to have a more strict and calculated lighting schedule to bring the plants through their vegetative (growth) and flowering (production) stages. The easiest way to maintain a lighting schedule is with an automatic electric timer. They are worth the investment because one small mistake or simply forgetting to turn the lights on or off has the potential to affect your plants' growth and production rates dramatically. An electronic timer is especially necessary if you are growing a variety of different plants. Although you can follow the general guidelines above and have success, some plants do much better with longer or shorter periods of “daylight.” If you have a mix of these in your garden, you will need to figure out a custom schedule. An electric timer allows you to take care of this hassle-free and change it according to your needs as your garden evolves. Short Day Plants: These require a long period of darkness to photosynthesize and produce flowers. If they are exposed to over 12 hours of light per day, they will not flower. Poinsettias, strawberries, cauliflower, and chrysanthemums are short-day plants. The short-day cycle mimics the environment in nature for plants the flower in the spring. Long Day Plants: These require up to 18 hours of sunlight per day. They include wheat, lettuce, potatoes, spinach, and turnips. The long-day cycle mimics the natural environment of summer-flowering plants. Day Neutral Plants: These are the most flexible. They produce fruit no matter how much light they are exposed to. Some examples include rice, eggplant, roses, and corn. If you must mix sort and long day plants, it is best to compromise their needs and pick a lighting schedule that is right in the middle, around fourteen hours of light per day. All hydro lighting systems have four main parts. These are the bulb, reflector hood, remote ballast, and timer. Bulb: The most popular wattage for hydroponic bulbs is between 400-600 Watts. Most hydro gardeners use High-Intensity Discharge (HID) lights. HID bulbs produce light by sending an arc of electricity between two electrodes that are encased in glass with a mixture of gas and metal salts. The gas aids the creation of the arc, which then evaporates the metal salts, producing bright white light. There are two types of bulbs available: High-Pressure Sodium (HPS) and Metal Halide (MH). Conversion lamps allow you to switch between the two types of bulbs easily. Metal Halide is a good all-around light, and for most vegetables, it will work very well. If you can only afford or only have room for one type of bulb, MH is a good choice. They cost on average $150 or less for 400 watts. These should be replaced at least every two years, but a decrease in efficiency after about fifteen months so may need replacing earlier. High-Pressure Sodium bulbs are the best choice for the flowering or fruiting stage of your plants. They are more expensive, so are often used in combination with an MH bulb (used during vegetative state) to save money on replacement costs. Although they are more expensive initially, HPS bulbs last up to twice as long as MH, up to five years. But, like MH lights they do lose effectiveness with use and may need to be replaced as often as every two years based on how much use they get. Reflector Hood: The reflector hood is a reflective casing around the bulb. It increases the effectiveness and efficiency of the bulb by reflecting the light down onto the plants at multiple angles, giving a more effective spread. This also allows you to use lights that give off less heat, saving on electricity and cooling costs. Remote Ballast: The ballast is the power box that powers the light. Sometimes ballasts are sold as a part of the lamp assembly, but these are usually far too hot and heavy. Remote ballasts are much better for home systems. This is the most expensive element of the lighting system, so it must be kept off the ground to ensure that it never gets wet in case of a flood or leak. Flooding is risky with systems such as Ebb & Flow in case your drainage tube gets clogged. It is recommended to buy the ballast as a set with the bulb because they must match each other in wattage. Timer: Timers are the most inexpensive piece of the lighting system, but they are incredibly important. They must be heavy duty and grounded (3 prong plug) but can be either manual or electric. Manual timers use pins and have two plugs on either side so that you can attach it to two lamps at once. Manual timers are more popular because they are less likely to break than electric.